Preheat oven to 450 degrees. Heat a large cast-iron skillet over medium-high until hot but not smoking, about 1 minute. Season chicken with salt. Swirl oil in skillet. Working in batches if needed, add chicken, skin side down, and brown on one side, about 5 minutes. 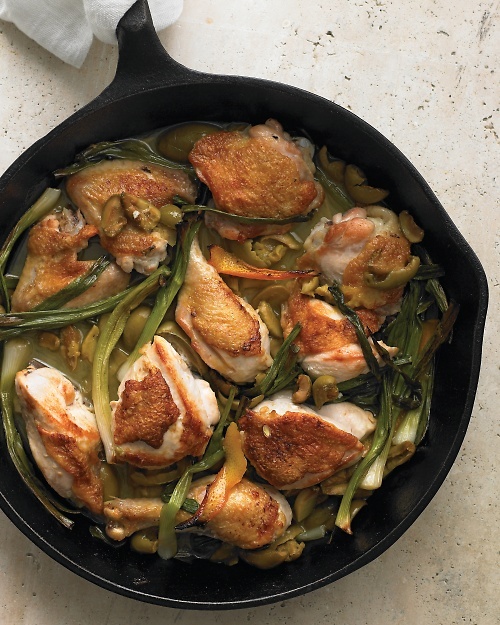 Turn chicken, skin side up, and add scallions, olives, and orange zest and juice to skillet. Transfer to oven and cook until chicken is cooked through, 15 to 20 minutes.